Born: 1969. Have blind wife and 3 children. 18 years in fincance. Start business in web accessibility in 2013. 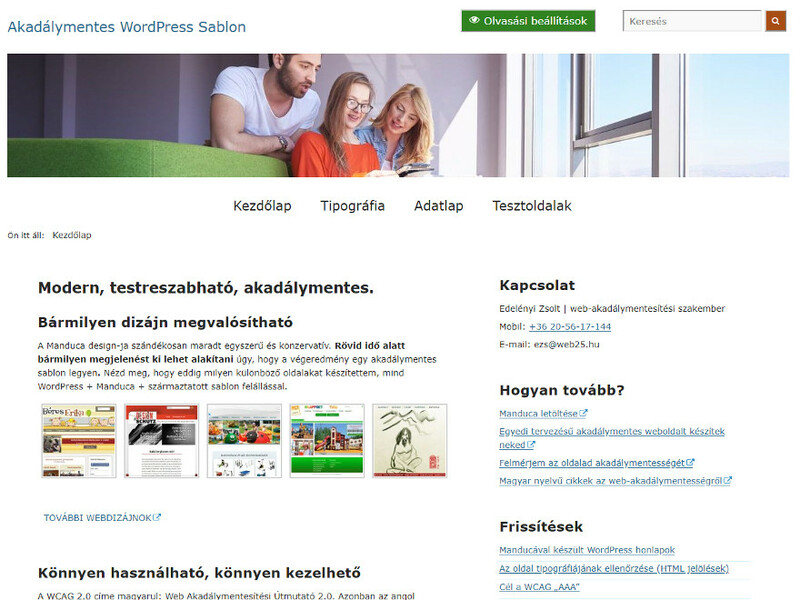 After I have beend finished my first WordPress site in 2013, i wanted to forget WP forever. There was no accessible WordPress theme available at all! Then I started to us twentytwelve, one of the best theme ever, and develop accessible themes and plugins. Since then, lots off development has been done in the core also. Satisfy all needs of download-handling. Közel 20 akadálymentességi szolgáltatást építettem bele. That <h1> is same as the title of the page? What about this sentence: https://www.w3.org/TR/WCAG20-TECHS/H69.html ? Should this rule been override? And what is the parent <h1>? Accessibility needs hierarchy of headings.